Over 50 decorations on one map! Prior to moment of creation this map, no one could build on the same map so many ideas for decorating your home. 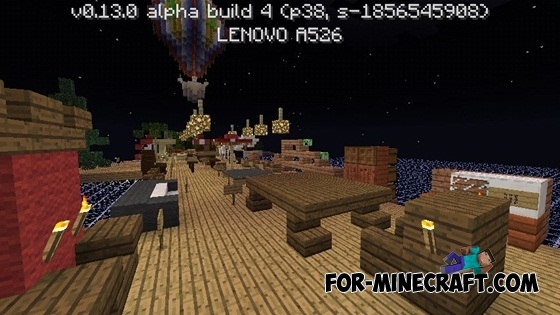 Now this map can be regarded as truly the biggest map with decorations in MCPE 0.13.0! Lots of chairs, tables, cabinets, sofas. And also umbrellas, thrones, ideas for decorating a bathroom, bedroom, guest room, recreation area. 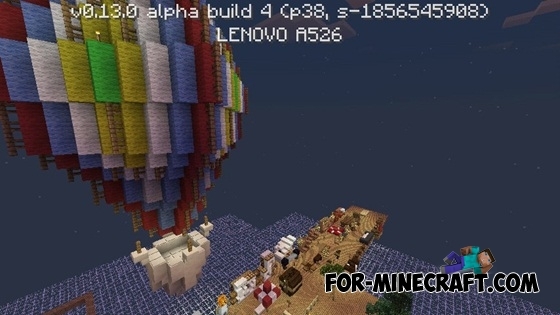 Decorative sofas, shelves, TV, fireplace and a huge hot air balloon .. middle of the map! 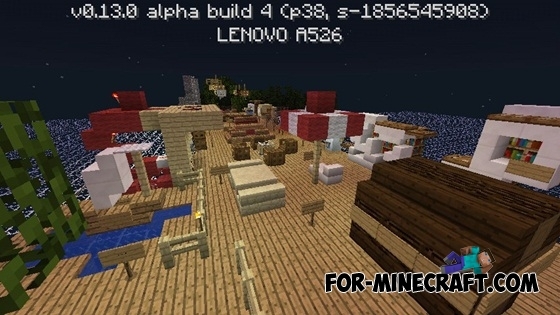 Furniture Ideas map for Minecraft PE 0.12.1Do you like to build a house in Minecraft PE? Do you want to decorate the empty rooms? This map is ideal that you need!